Select the continuous update method for models that respond to both continuous and discrete mode changes. Use Mealy charts to model finite state machines whose output is a function of current input and the current state. Use Moore charts to model finite state machines whose output depend on only the current state. Simulate systems that exhibit modal behavior in continuous time. Define continuous-time variables and their derivatives. 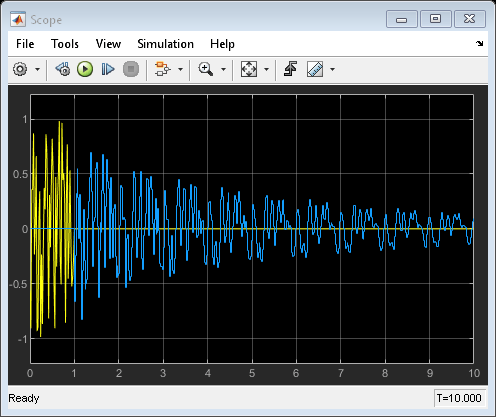 Simulate a hybrid system that responds to continuous and discrete mode changes. Use continuous-time semantics to model a permanent magnet DC motor. 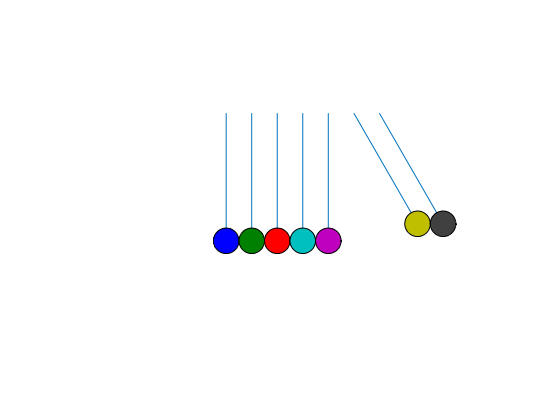 Use continuous time semantics to model the dynamics of moving billiard balls. Create charts that implement Mealy and Moore state machine semantics. Use best practices for implementing Mealy semantics in charts. Use Mealy machine semantics to design a vending machine. Use best practices for implementing Moore semantics in charts. Use Moore machine semantics to design a traffic light controller. Achieve equivalent chart behavior when you change state machine types. Specialized semantics impact the way that a function initializes persistent data. 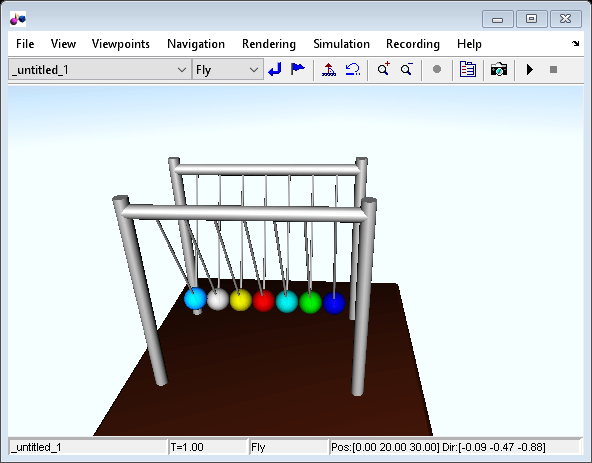 Model a popular toy called "Newton's cradle" which consists of a row of seven identical balls which are hung from a common height. At rest they are arranged such that they just touch each other. One or more balls from one end are then raised from their rest position and released. Use Mealy and Moore machines for a sequence recognition application in signal processing. For more information, see Overview of Mealy and Moore Machines. A simple implementation of the Karplus-Strong algorithm for string synthesis by using Stateflow® charts with Moore semantics. For more information, see Design Considerations for Moore Charts.